And you didn’t even know city employees could accept gifts, huh? 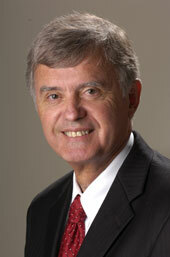 Mayor Chris Beutler today signed an executive order banning city employees from accepting gifts. The mayor said the new rules were issued to “further the cause of good government and ensure public confidence in our public servants” and not a response to any reported problems. I found this dog-and-pony-show interesting, considering the mayor and several city employees were flown around the country last October to look at arenas, and then the mayor refused to disclose who paid for the trip until his hand was virtually forced. (Nelnet paid for the flights on their jet.) And even then, he never said how much the trip cost. Did anyone at the press conference ask Beutler whether his trip was OK? Is he subject to these rules? And what about calling up construction companies that are vying to for the job as general contractor on the $168 million arena and asking them for donations to your mayoral campaign? Just looking for some clarification on this, mayor. Councilman Doug Emery joined Beutler for the announcement, and said he would ask other council members to consider adopting the same policy. “We cannot ask the community to follow our lead if they are suspicious of our motives,” Emery said. State law already prohibits city employees from using their positions to solicit or accept anything of value in exchange for a favor. Lincoln’s municipal code includes a similar prohibition. The new executive order replaces one from 1985 that allows for the acceptance of gifts valued at less than $10. Beutler said a weakness of the previous executive order is that it did not limit the number of gifts that could be received. The executive order also extends the ban to employees’ spouses, children and parents. While I think Beutler needs to abide by these same rules, I give him credit for strengthening the city rules on this. A few years ago I wrote about how city employees get gifts and free lunches and holiday dinners — particularly from engineers and architects and construction companies vying for city business. They were violating the city rules, but nobody seemed to care. ← Nelson: “Most Disloyal Democrat”? What about those campaign contributions Mr. Mayor? What about all the freebies you get and all the free lunches and diners you get. Hello, Is Anybody Out There ??? individuals solicit, accept and recieve “Gifts” of hundreds, thousand and tens of thousands dollars as Campaign Contributions ??? These donations dwarf any “GIFTS” given to City Employees. It is the Elected elites who are squired, chaufferred, flown, fed, entertained and figuratively massaged who are targets of undue influence. The non-elected staff of the Elected officials are equally susceptible – yet they are no city employees, per se. What gives ??? At any time the Mayor can convene a committe to review, define and publish ALL types of beneifits and influences recieved by elected City Council and administrative positions. What is the hold up ??? The Mayor did not strengthen the rules he opened them up.